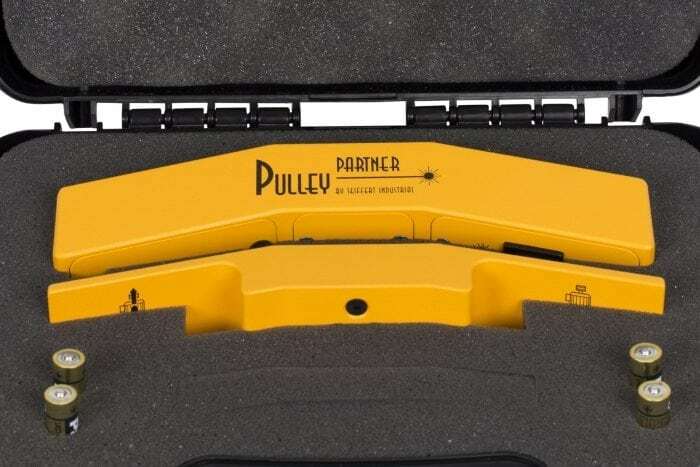 Get more out of your belt driven equipment with proper alignment using PULLEY PARTNER laser pulley alignment tool! 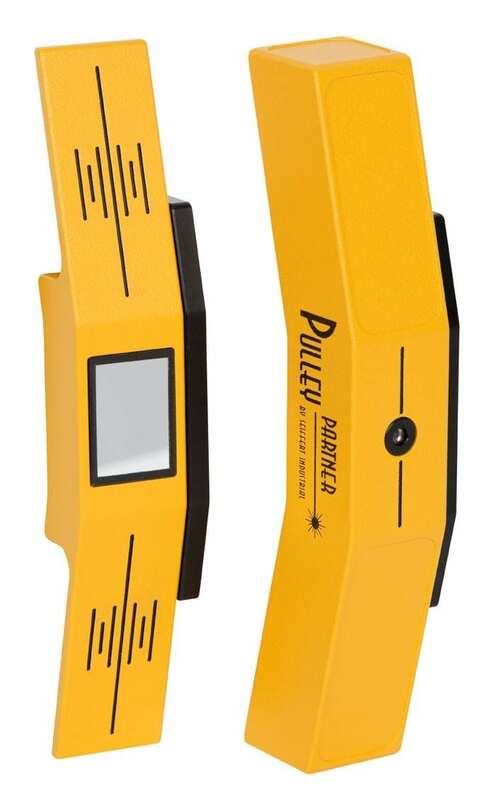 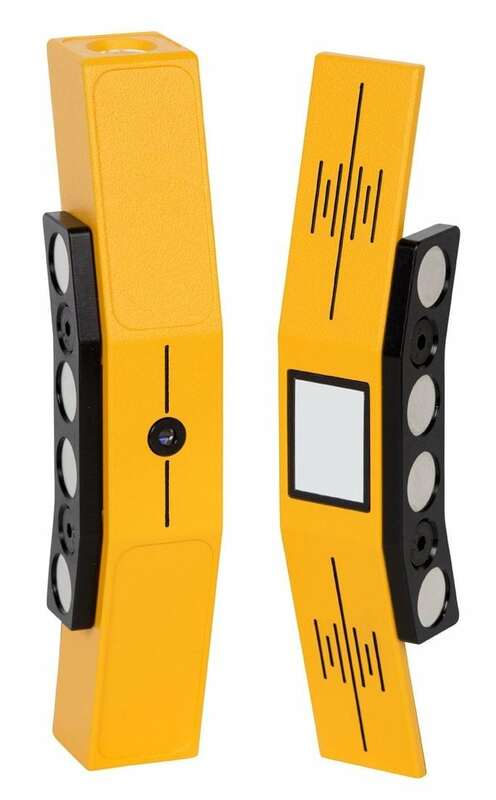 The PULLEY PARTNER laser pulley alignment tool is light-weight, compact and durable. 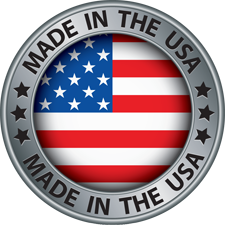 The unit magnetically attaches to the inside or outside face of any pulley or sprocket and has no small parts or targets that can get lost. 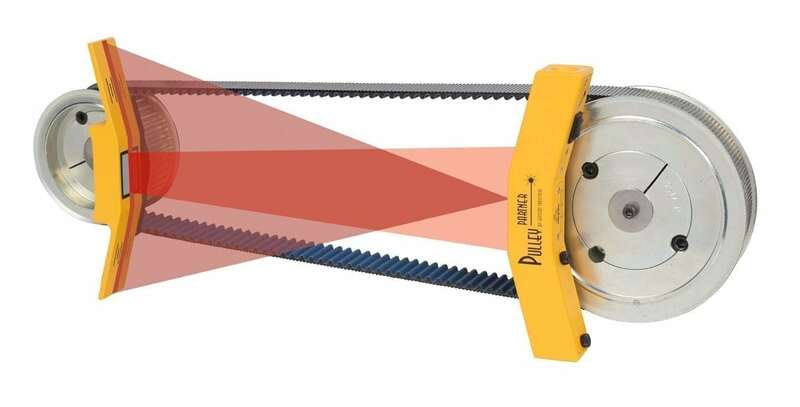 We use our proven reflected laser beam technology for maximum angular resolution, thus providing you with the most reliable and accurate readings for that no other method or pulley alignment tool can match. 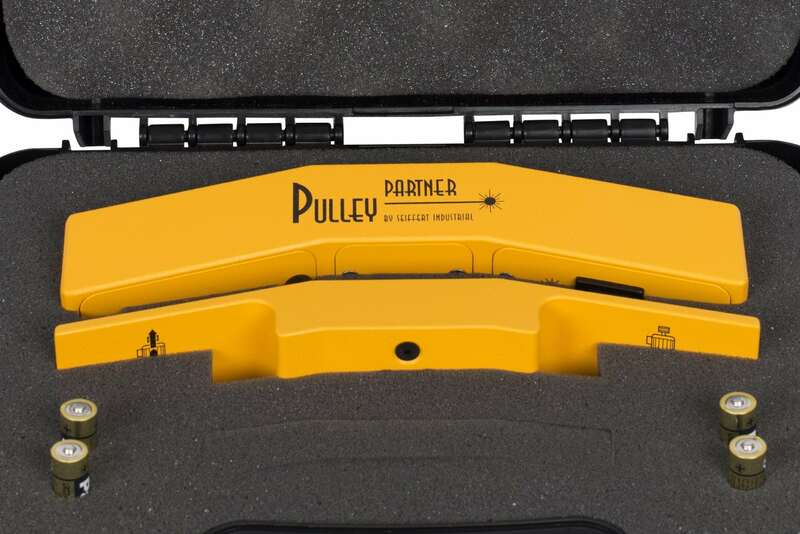 The Pulley Partner can measure spans up to 6 ft. (1.9 m) or better with any size pulley, large or small. A laser line is projected from the Pulley Partner transmitter to the reflector mounted on the opposite pulley. 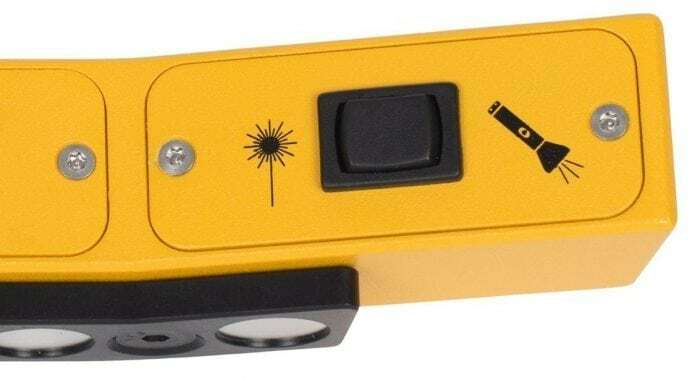 A reference line on the reflector indicates offset and vertical angle misalignment immediately. The laser line is then automatically reflected back to the transmitter’s reference line to show horizontal angle misalignment. 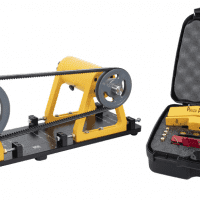 This ensures all major aspects of pulley misalignment are resolved. 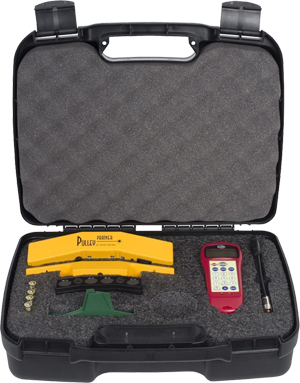 This pulley alignment tool is so easy to use, a single operator can perform the pulley alignment task in minutes with no training! 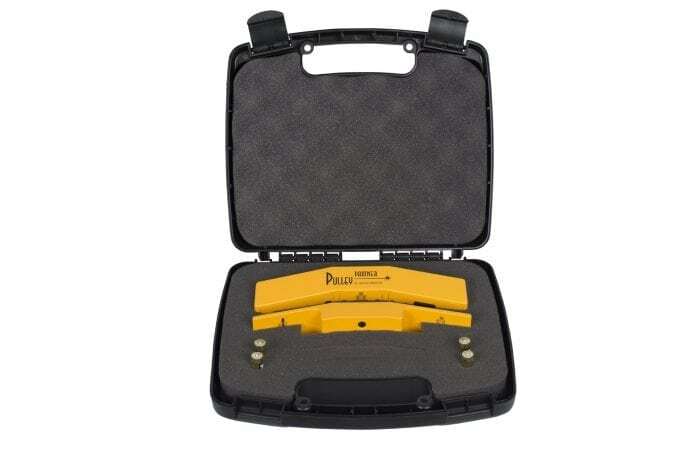 Comes in its own durable carrying case. 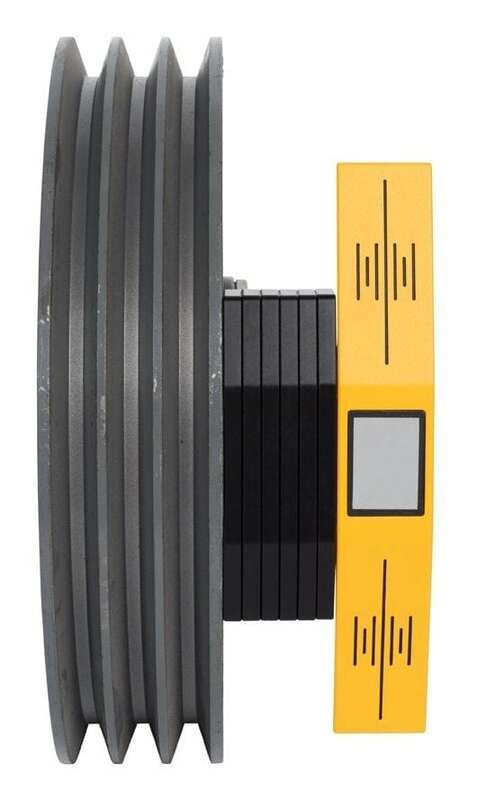 For further information about the Pulley Partner, call Seiffert Industrial toll free today at 800-856-0129.